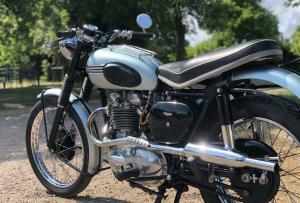 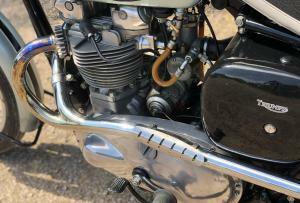 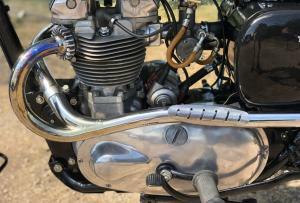 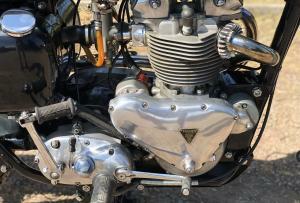 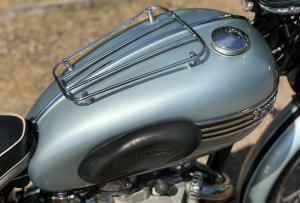 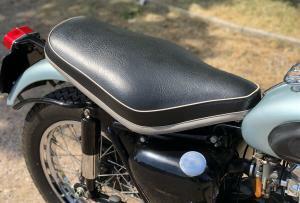 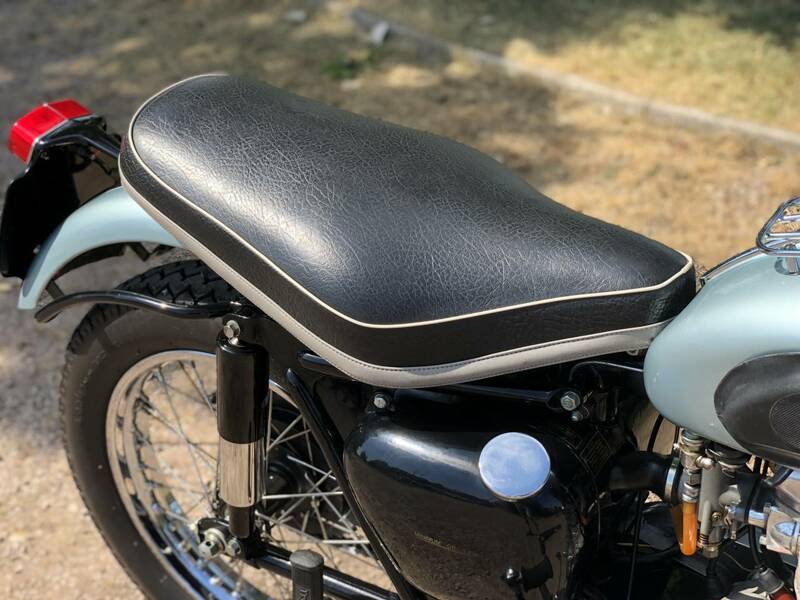 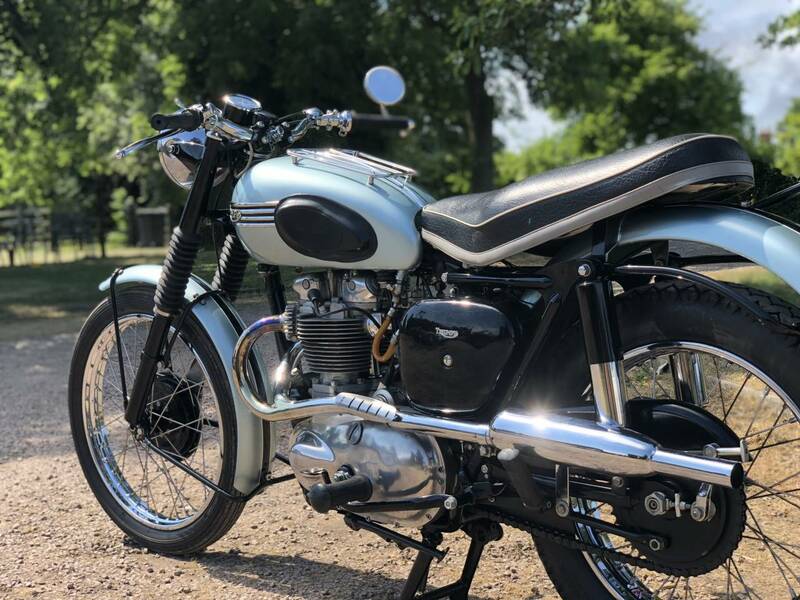 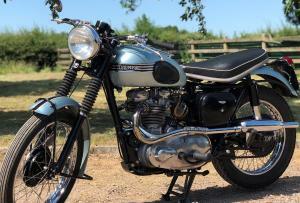 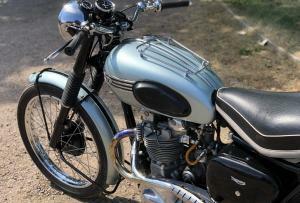 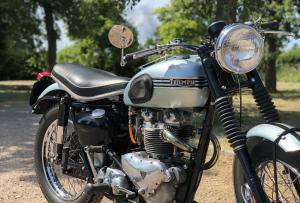 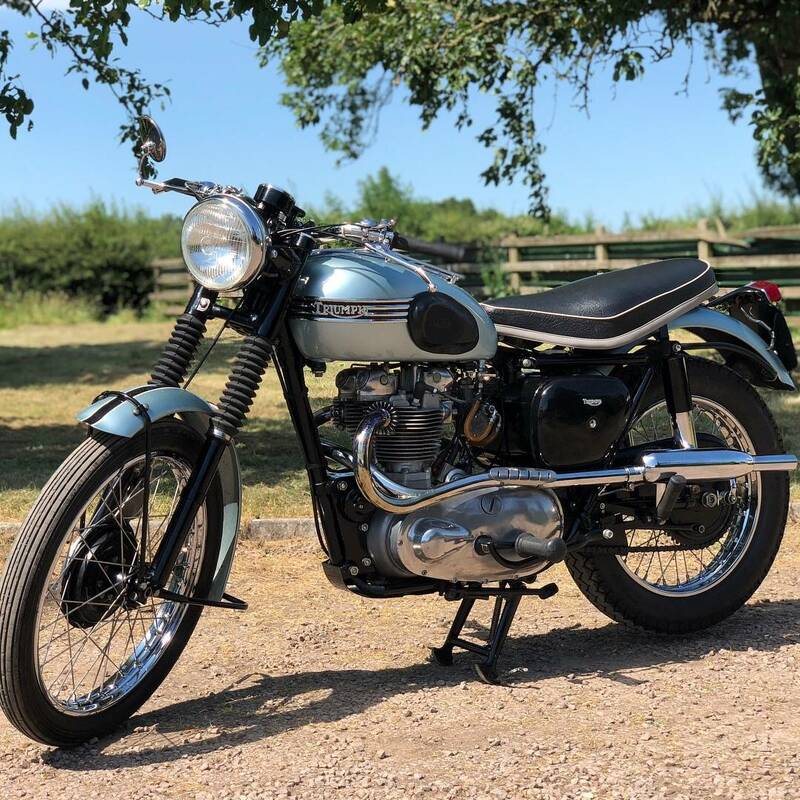 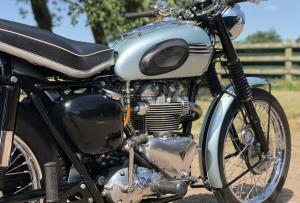 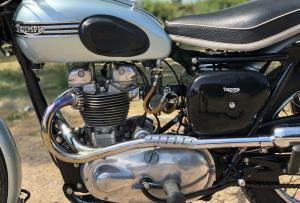 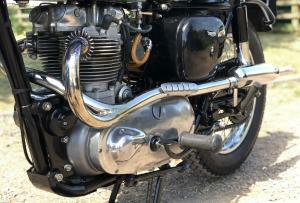 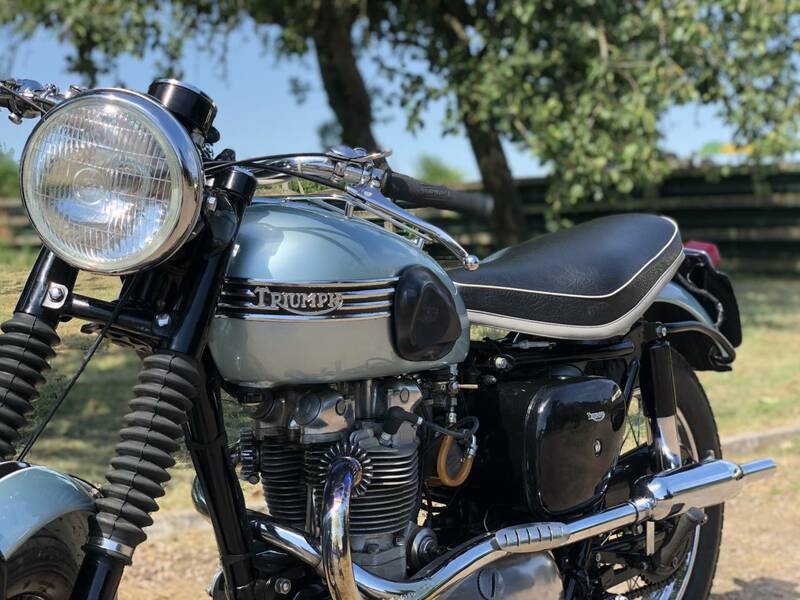 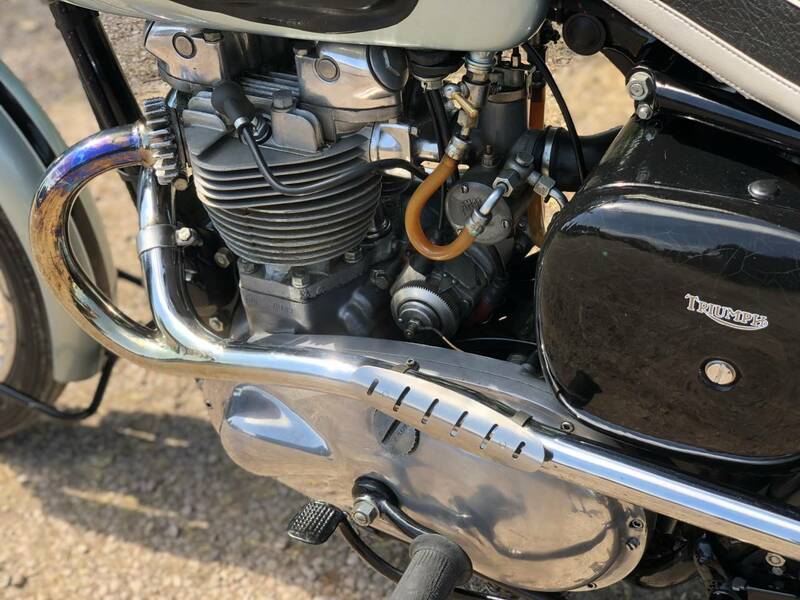 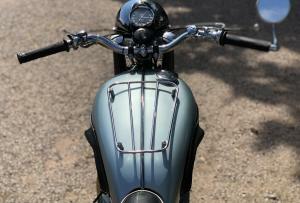 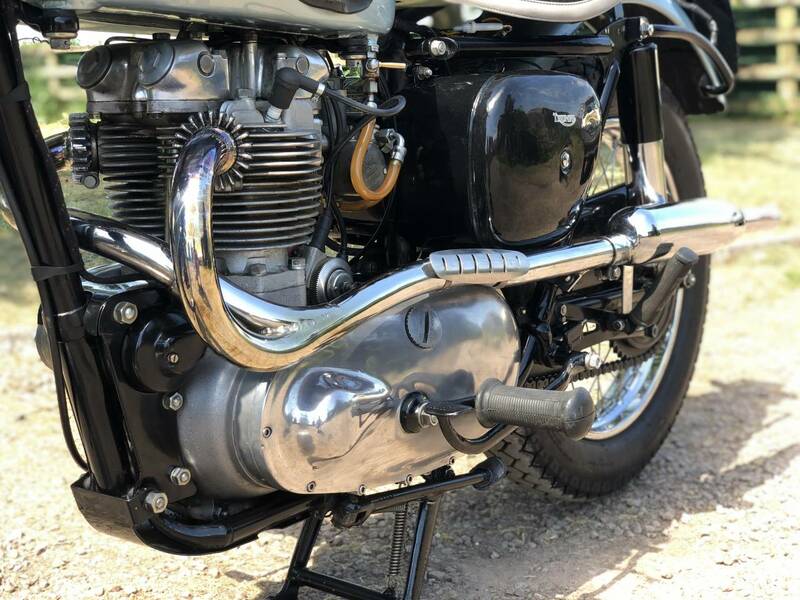 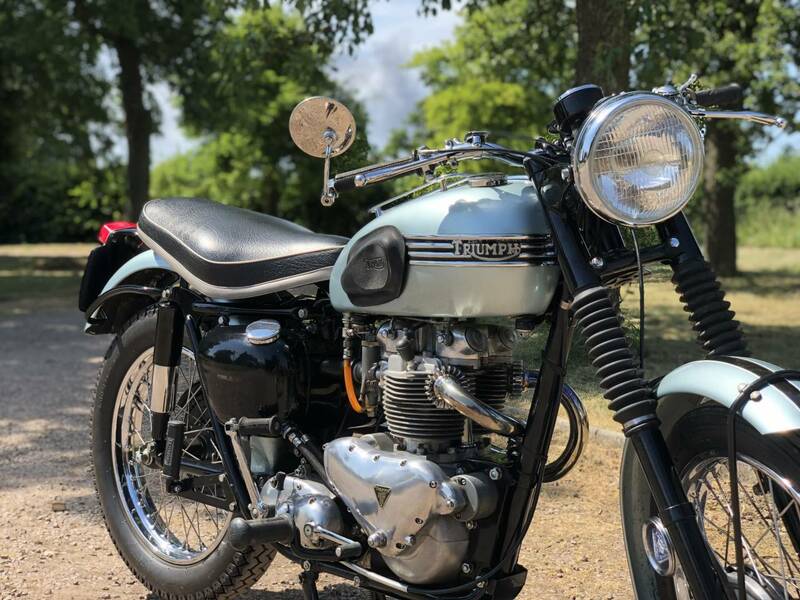 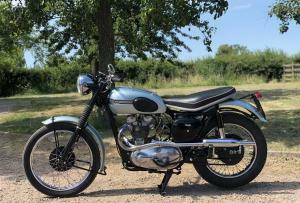 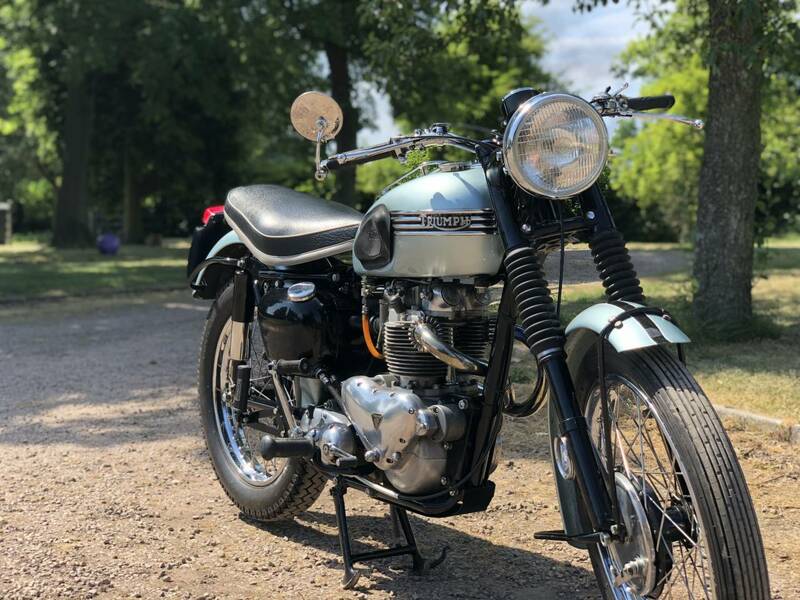 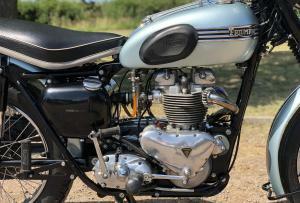 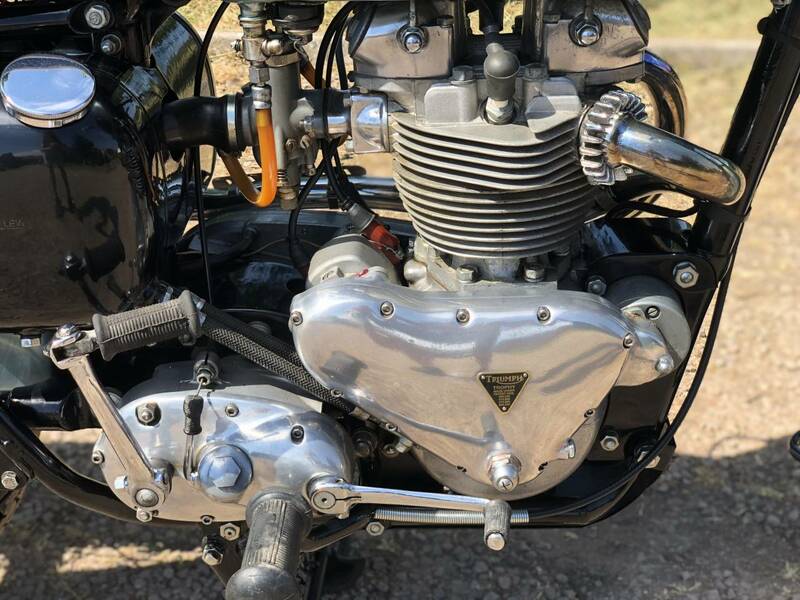 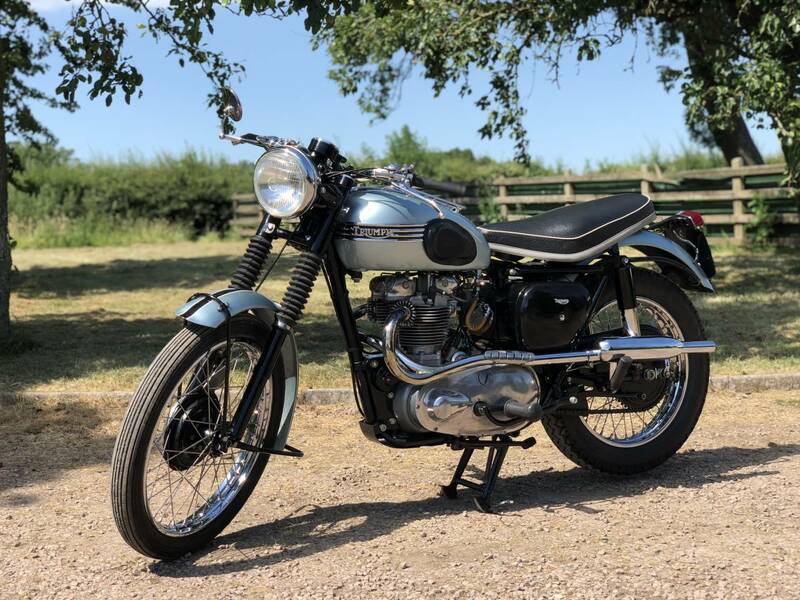 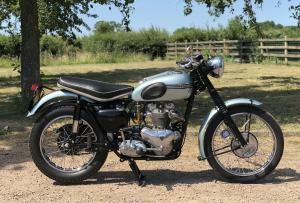 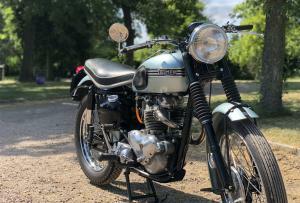 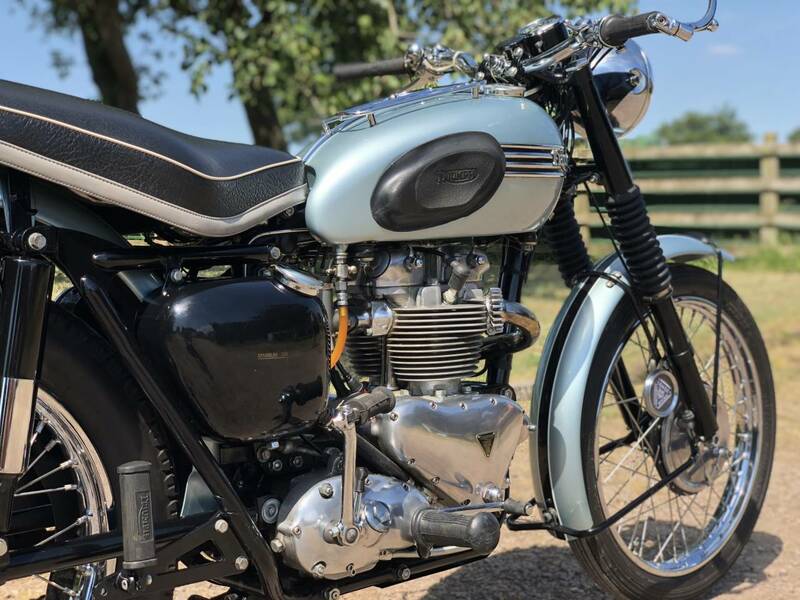 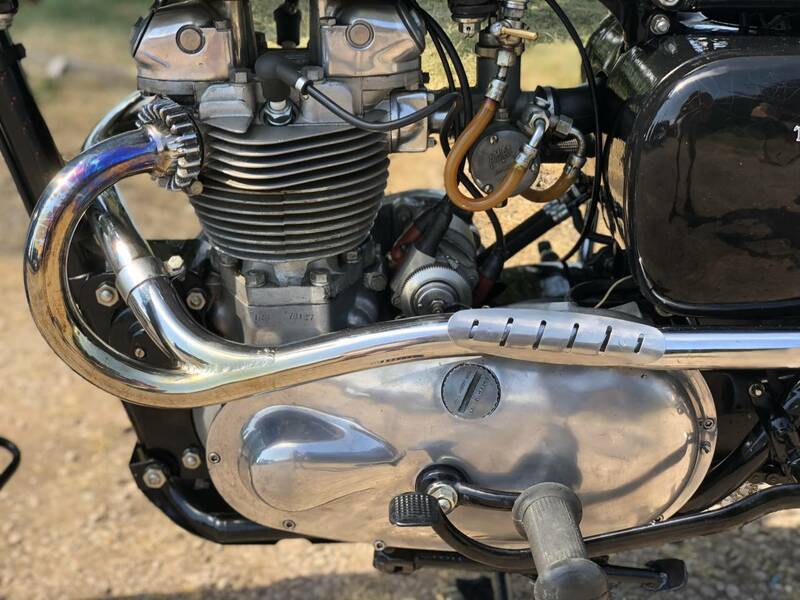 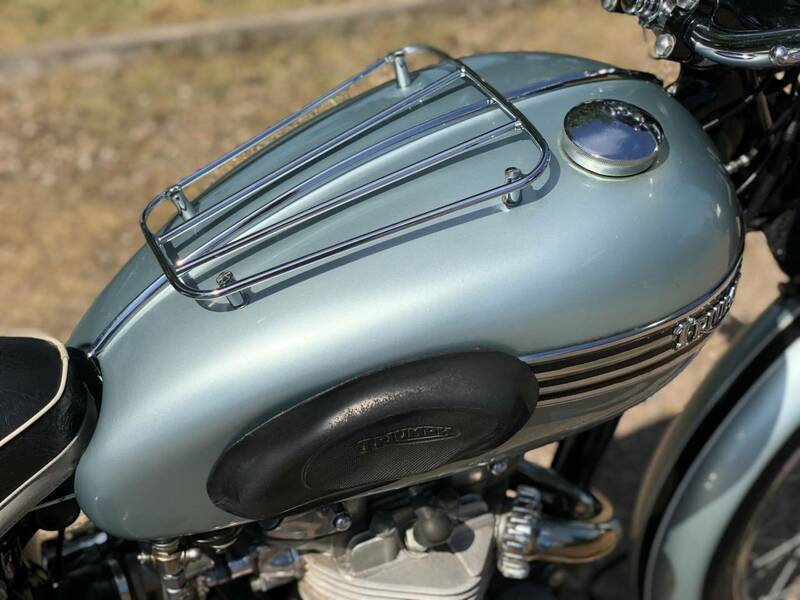 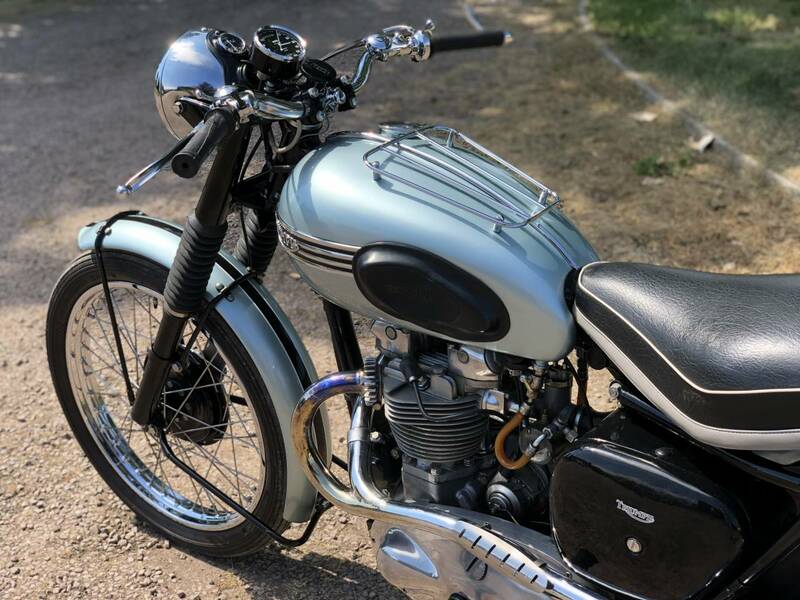 Triumph Trophy TR6 Pre-Unit 1956 , Very Rare First Year Example ! 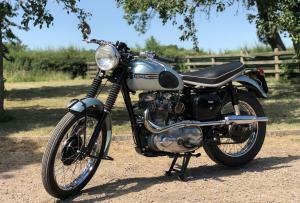 One Of The Prettiest Pre-Unit Triumphs Ever Made ( In Our Opinion ! ) 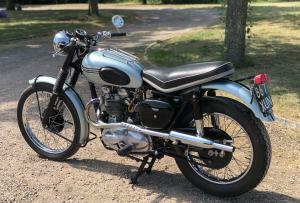 & In The Beautiful & Correct Triumph Silver/ Blue Colour Scheme . 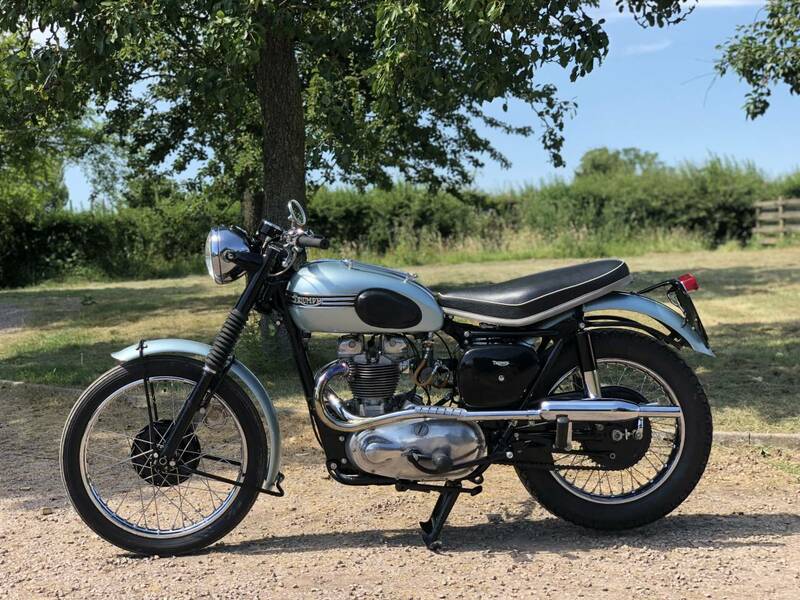 This Is An Extremely Rare , Original & Very Desirable & Sought After Specimen , Which Is In Beautiful Restored Condition & Now With Wonderful Patina . 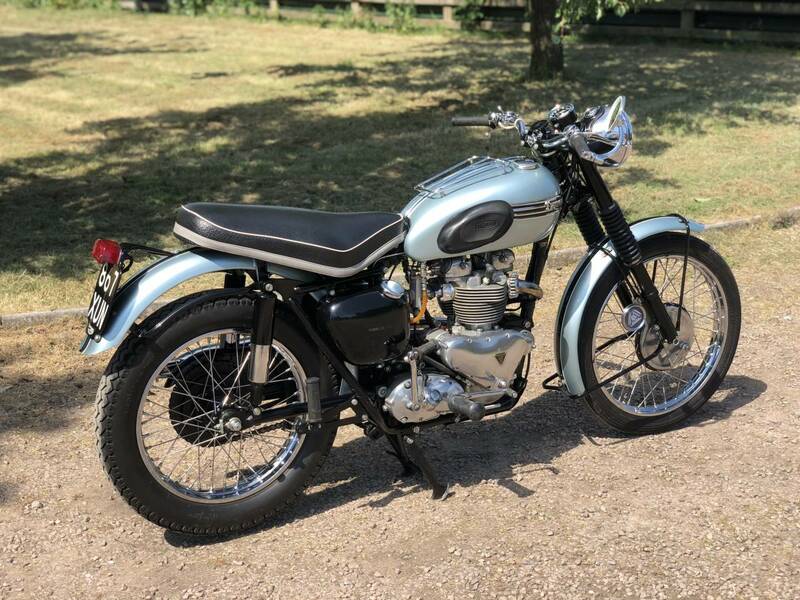 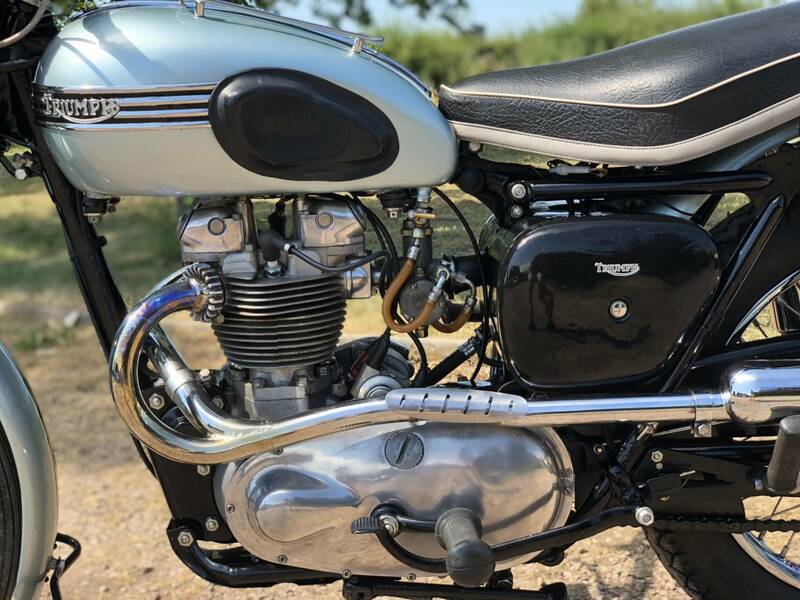 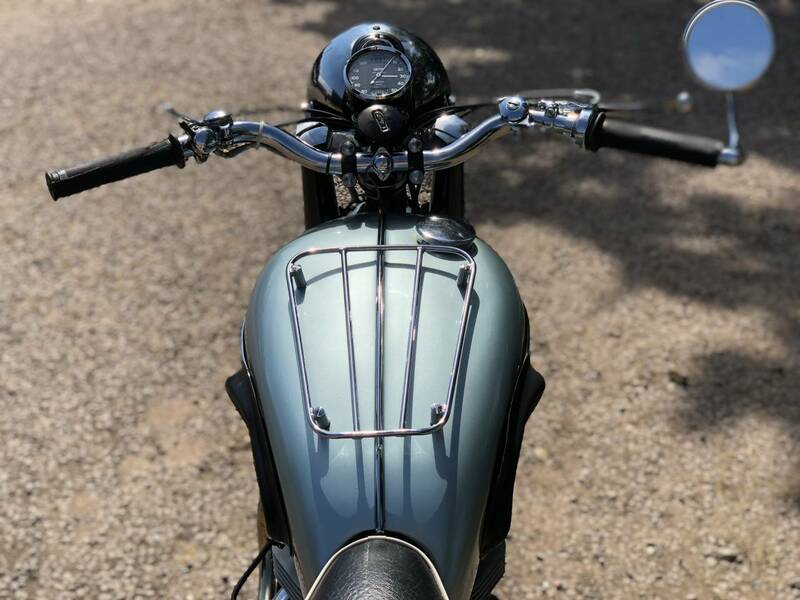 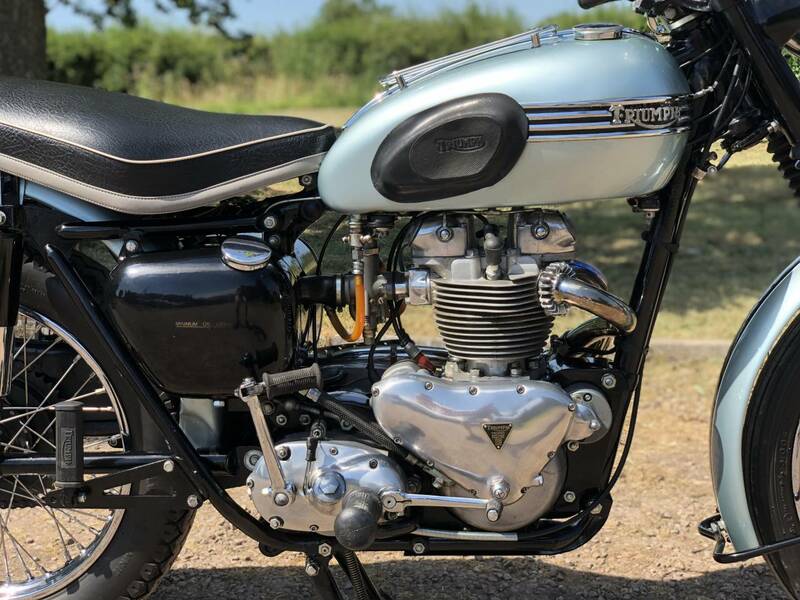 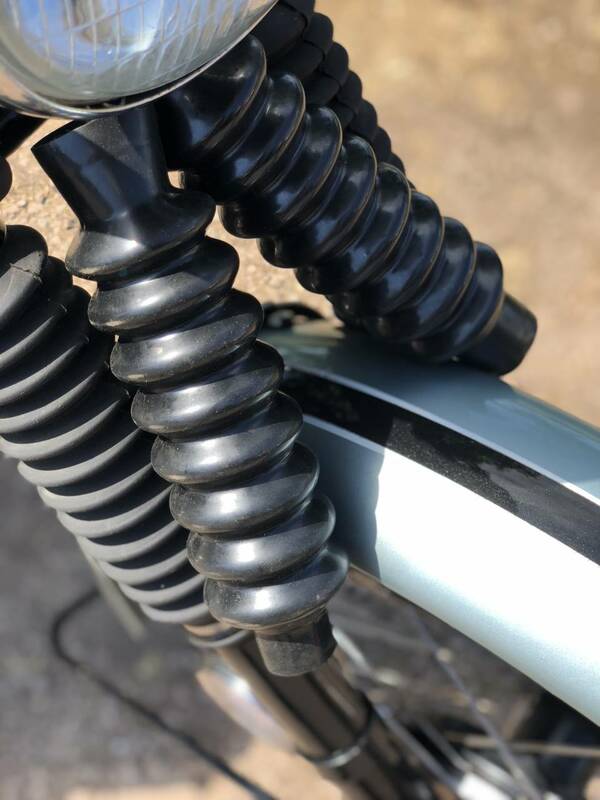 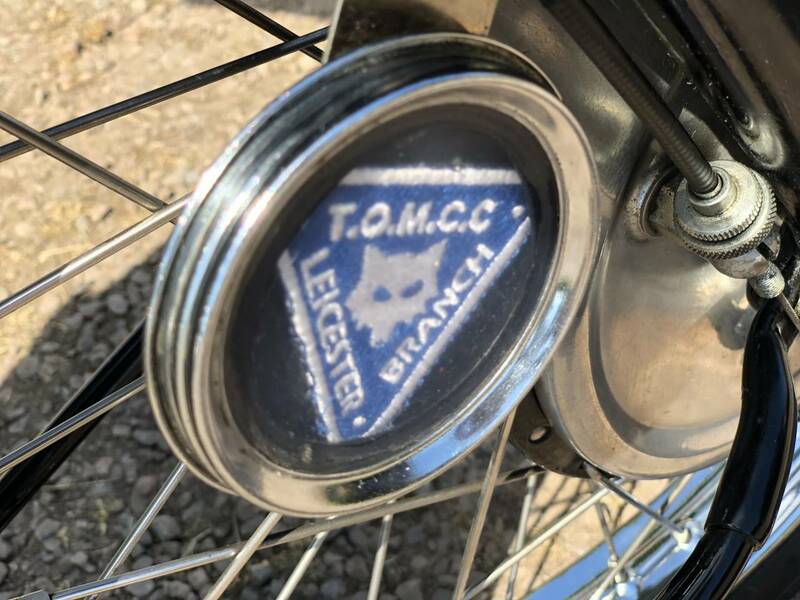 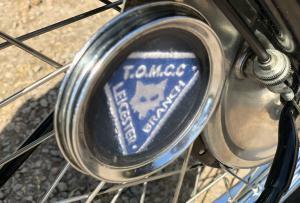 Comes With The Very Rare , Beautiful & Original Small Petrol Tank & Torquey 650 , Pre-Unit Engine ; 20 " Front & 18 " Rear Wheels , With That Distinctive , Steve Mc Queen / Marlon Brando Look ! 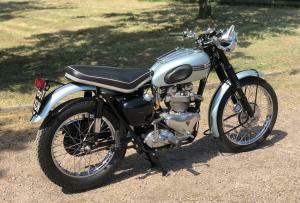 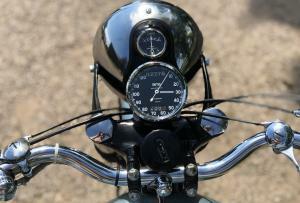 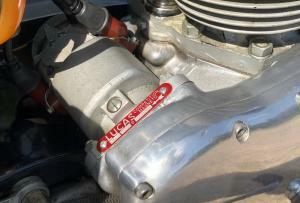 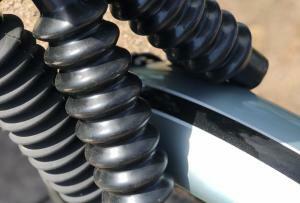 It Starts , Runs & Rides Extremely Well & Has Original Matching Numbers & Is Tax & Mot Exempt . 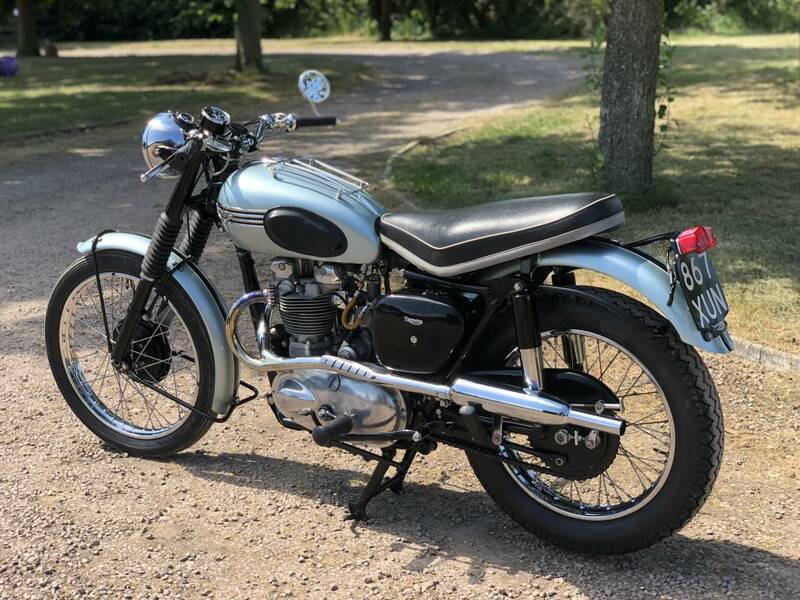 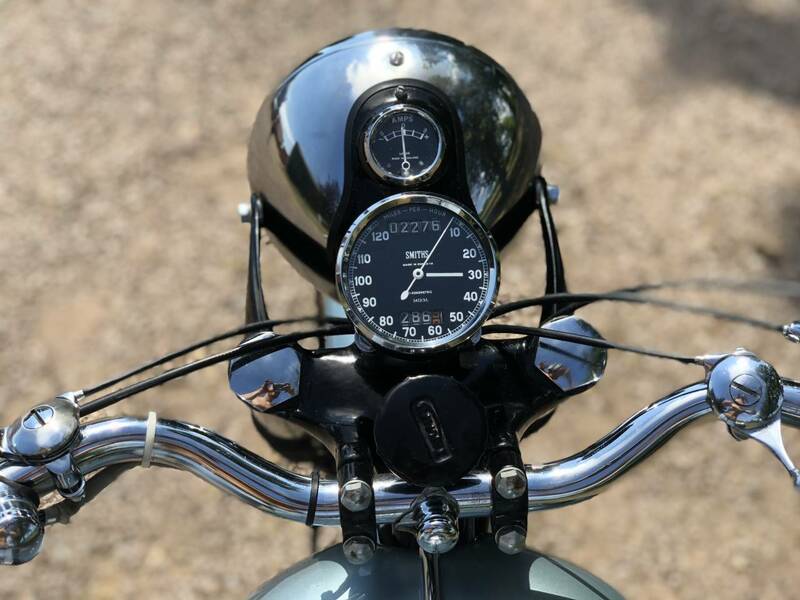 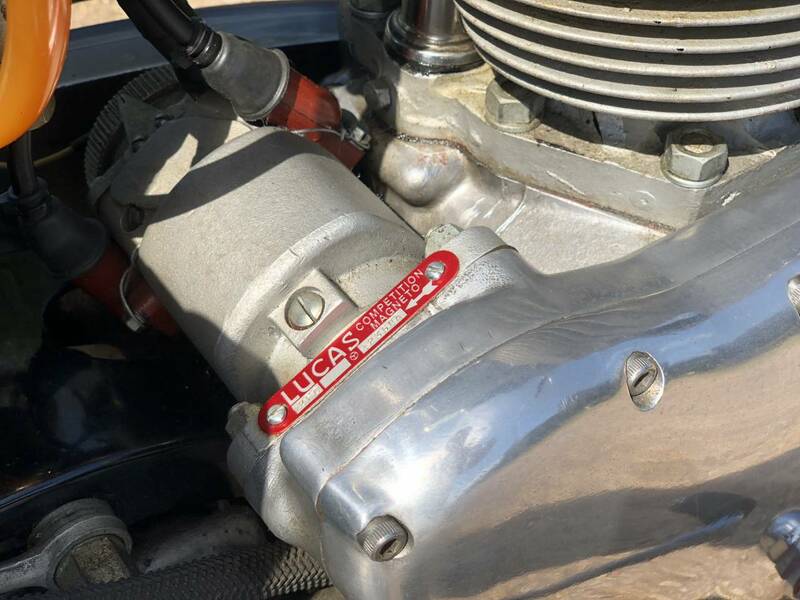 Starts First Kick , With A Lovely , Sweet Running Engine ; Great Oil Pressure ; Charges Well & Is Very Easy To Ride & Live With , As Has An Upright , Relaxed , On / Off Road , Riding Position. 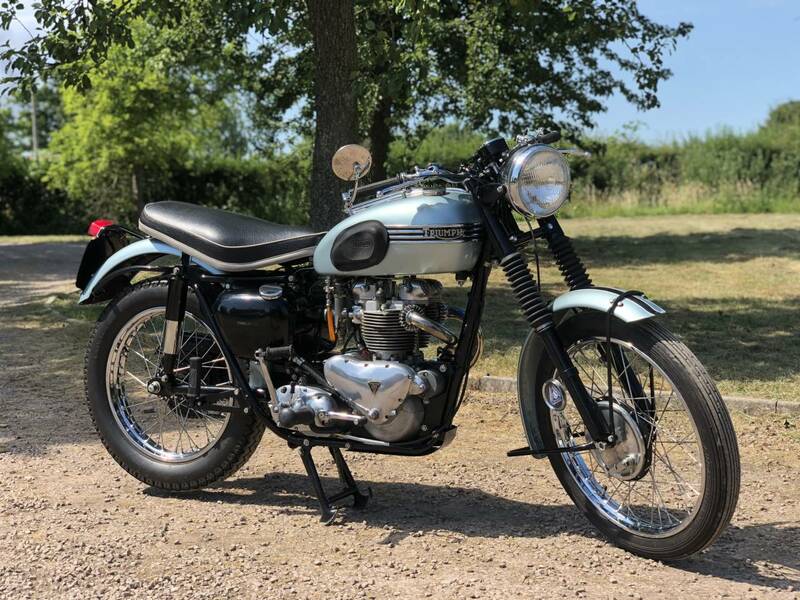 As An Extremely Rare & Beautiful Work Of Engineering Art & Much Rarer Than The Later 57 On , Pre-Unit & Unit Construction Models , You Will Find It Very Hard To Find Another 56 , As Good As This One For Sale! Please View The Video & See Josh's Facebook , Which Shows Josh Riding it! 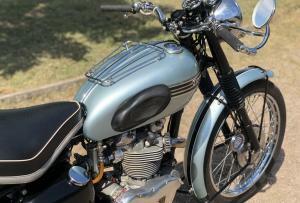 It's Sure To Be A Great Investment & Bring Great Pleasure To Its Next Lucky Owner. 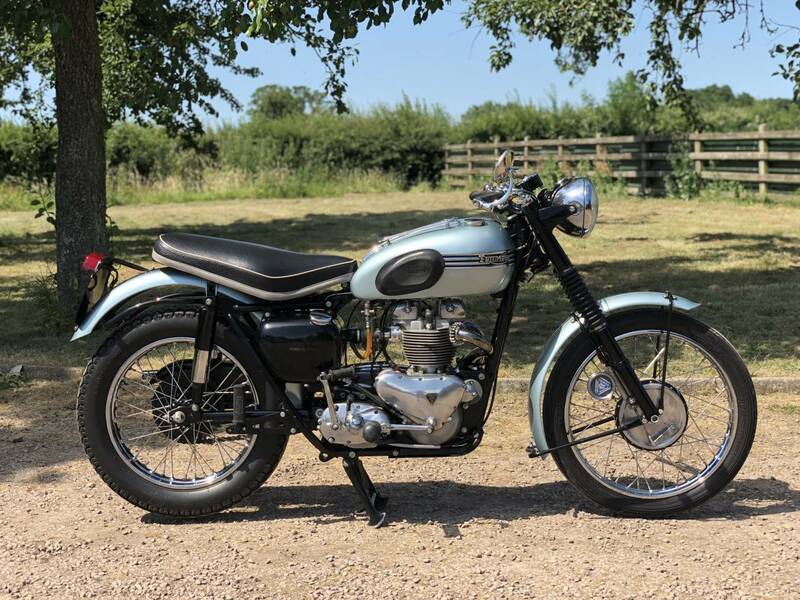 First To See , Hear & Ride, Will Buy , So Be Quick On This Rare Beauty !